HAMPTON, Va.— Recognized nationally for accuracy, the Hampton University Center for Public Policy’s (CPP) latest poll shows that in upcoming primary Democratic candidate Tom Perriello (22%) leads the field of Democrats by five points over current Lt. Governor Ralph Northam (16%), while Republican Ed Gillespie has a sizeable lead (25%) over his Republican challengers Frank Wagner (9%) and Corey Stewart (8%). Many of the polled respondents remain undecided leading up the June 13 primary election, but likely voters polled are sure that the next Governor of Virginia needs to prioritize improving the economy of Virginia and job creation. When Virginians were asked “for whom would you vote” from the list of Democratic hopefuls, 22% chose the former United States congressman Tom Perriello, while 16% indicated they would choose Pediatric neurologist and current Lt. Governor Ralph Northam. However, 38% either refused to answer or are undecided. Despite being the two time sitting Lt. Governor, Northam doesn't seem to have strong name recognition amongst likely Virginian votes. On the Republican side, Virginians put Ed Gillespie (former advisor to President George W. Bush) in the lead over the other Republican challengers with 25%, with Virginia State Senator Frank Wagner capturing 9%, while Corey Stewart (Prince William County Board of Supervisors, Chair) had 8% support from respondents who were asked “for whom would you vote” if the republican primary were held today. As is the case with the Democrats, more people surveyed (32%) are still undecided. Not all of the 741 respondents surveyed agreed to answer the survey question about the election being held today when it included all five candidates. Only 116 likely Virginia voters were willing to identify a candidate they would support. However, of the 116 bi-partisan voters who were asked if the election for governor were held today, and all five candidates were on the ballot, Republican Ed Gillespie (28%) has a slight edge over Democrat Tom Perriello (26%) and Democrat Ralph Northam is third with 21%. Likely Virginia voters have remained consistent since polling leading up to the 2016 Presidential election regarding their focus on Virginia state leadership working to improve the economy and create jobs (36%). The second most important issue that the next Governor should prioritize is Healthcare, which garnered 23% of respondents surveyed. Education (20%) was third, improving transportation infrastructure such as bridges, tunnels and road surfaces was fourth and Gun control rounded out the bottom with 4% coming in fifth on the priority list for the next governor of Virginia. Nearly half of likely Virginia Primary voters surveyed disapprove of the job Donald Trump is doing as President of the United States, while only 43% approve. The poll was conducted from June 1-6 by the Hampton University Center for Public Policy (CPP) questioning 750 registered voters who said they are “likely” to vote in the 2017 Primary for Governor of Virginia on Tuesday, June 13, 2017. The margin of error for the survey is +/- 4.2% for the full sample. 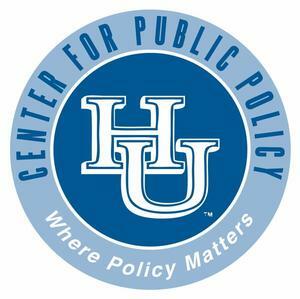 The HU Center for Public Policy is an objective, non-partisan source for information and solutions on a variety of topics. Along with HU’s mission of education and service, the Center for Public Policy stands to serve as the pulse of the people of Virginia. For top line results, the executive summary and more information on the Hampton University Center for Public Policy call 757-727-5426 or visit http://www.hamptonu.edu/cpp/polls/. Over the course of the 2016 Presidential Election season, the CPP was recognized nationally by several media outlets. The Washington Post distinguished the CPP poll for its 100% accuracy. The CPP also made headlines on Fox News, MSNBC & in The New York Times. While the methodology of other polling organizations was wrong, the CPP was the only polling organization to accurately predict Clinton winning the state of Virginia.